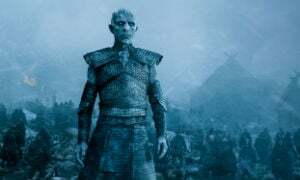 For the sixth year in a row Game of Thrones has taken the crown for the most pirated TV-show on the Internet. The Walking Dead remains in second place, with newcomer Rick and Morty right behind. The seventh season of Game of Thrones brought tears and joy to HBO this year. It was the most-viewed season thus far, with record-breaking TV ratings. But on the other hand, the company and its flagship product were plagued by hacks, leaks, and piracy, of course. Game of Thrones’ year ends with a high, or low, depending on one’s perspective. For the sixth year in a row it has the honor of becoming the most-downloaded TV show through BitTorrent. Although there was no new swarm record, traffic-wise the interest was plenty. The highest number of people actively sharing an episode across several torrents was 400,000 at its peak, right after the season finale came online. This doesn’t necessarily mean that there’s no growth in piracy. BitTorrent traffic only makes up a small portion of the piracy landscape. A lot of people use streaming sites and services nowadays, which are harder to measure. While the top of this year’s list is made up of familiar names, there are also some new entries. Prison Break made a comeback, which didn’t go unnoticed by torrent fans, while Rick and Morty and Sherlock also make an appearance. Below we have compiled a list of the most torrented TV-shows worldwide (single episode) released in 2017. The ranking is compiled by TorrentFreak based on several sources, including statistics reported by public BitTorrent trackers. We have decided to stop reporting download estimates. Due to various changes in the torrent index/tracker landscape it’s become more challenging to monitor downloads accurately, so a ranked overview makes most sense.